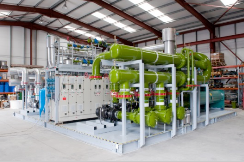 Brian A. Flynn Ltd. are the largest independently owned Industrial Refrigeration/HVAC specialist company in Ireland and have more than 40 years experience serving this market. We provide Service/Maintenance programs as well as being certified to ISO EN 378:2008 for the Sale, Design, Installation, Commissioning and Warranty of Industrial Refrigeration/HVAC systems. BAF meet all requirements for CE certification and are fully compliant with EN 378:2008, cGMP and PED regulations. 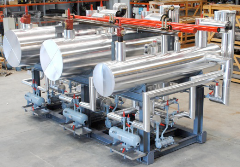 We serve the Industrial Refrigeration & Process Chilling/HVAC markets and can meet all requirements from individual components/spare parts right through to complete turnkey plants. We are a SABROE Dealer for Industrial Refrigeration products, an Authorised ALFA LAVAL Service Partner for Ireland and also an Approved Chiller Supplier for Daikin Applied Industrial equipment serving the larger HVAC product range.We supply refrigeration installations based on freon refrigerants R134A, R404A, R410A etc., also CO2 (R744) or Ammonia (R717) as best meets efficiency, ODP, GWP, EPA, Health & Safety and Cost factors etc. We can also use a combination of CO2 and R134A or R717 with Secondary Refrigerant e.g. Glycol, Pekasol etc. We can supply a complete turnkey refrigeration package of Mechanical/Electrical and Insulation Panels for all minor & major Low/Medium temperature Coldroom/Coldstorage installations. 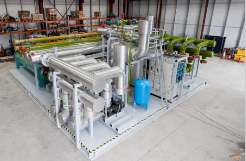 Plants can be supplied in pre-manufactured Packaged Units constructed at our own purpose built facilities and delivered to site both national & internationally enabling rapid and efficient assembly on-site thus avoiding delays and reducing costs. * Multiple MW capacity Chilled Water System prefabricated, pre-wired and tested at Brian A. Flynn Ltd. factory in Newcastle-West, Co. Limerick. * Fully Painted, Insulated and Wired. * All skids bolted together. Flange connections on all interconnecting piping at termination of each subassembly. * Cooling Towers available for FAT in factory. All cooling tower piping prefabricated in flanged sections, tested and fully painted. These are then shipped to site for bolting together. 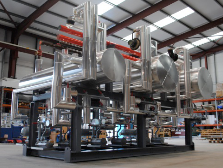 * Complete turnkey system, fully tested and pre-commissioned. * Complete system CE marked and certified in accordance with BAF ISO 9001 system. * Minimum footprint of system and hence reduction of required plantroom size. 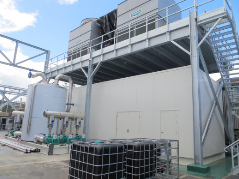 *Existing refrigeration plant can be replaced by newly built packaged modularized plantrooms, thus reducing downtime to a minimum and delivered pre-tested/wired etc. * Minimal assembly and bolting required on-site. 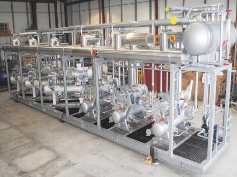 * All pre-commissioning tasks performed in-house including evacuation and refrigerant charging. Only final commissioning performed on-site. * All electrical works and checks performed off site at BAF factory. * Improved Quality Control due to factory manufacture. * Availability of labour and time-saving equipment in BAF workshop facilities. *Reduction of costs due to tighter control of assembly, fabrication and the use of specialized in-house equipment. * No overlap or impact to other site works or trades during fabrication. * BAF will have full responsibility for design, manufacture, assembly, testing and commissioning of entire system. *Significant benefits to project program as entire system delivered complete on scheduled date. *Significant reduction to project program as manufacture of system can proceed in parallel with site civil works. 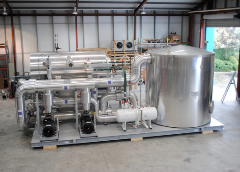 The chiller system can therefore be completely installed as soon as the finished floor is available. 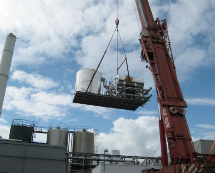 *Modularisation allows for the manufacture of any size system as each skid is suitable for normal transport. *Modularisation also allows for simple future expansion. 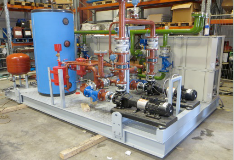 As required new pumps, chillers and components can be bolted onto the system using flanges provided when designing skid. 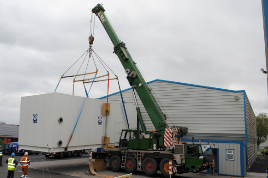 *Modularisation provides significant flexibility as the entire system or individual components can be disassembled and moved to new locations or sites. 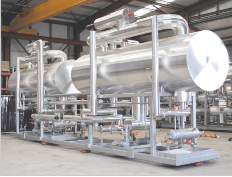 *We have manufactured chiller systems with 0 (zero) GWP and 0 (zero) ODP. *Full control of safety environment and PSDD PSCS by BAF. *Simple client ordering and project management due to BAF single point of contact. *Full financial security and confidence due to fixed pricing and provision of Insurance Bond. 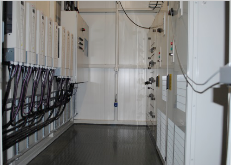 *Complete Electrical Control Panels, inclusive of Distribution/MCC Control Panels/Form2 & 4/Control Systems/PLC’s. *Frame structure & Floorbase: High quality paint finish application. Galvanised or 2pack epoxy primer as per specification requirements.